Attention, preggy moms! 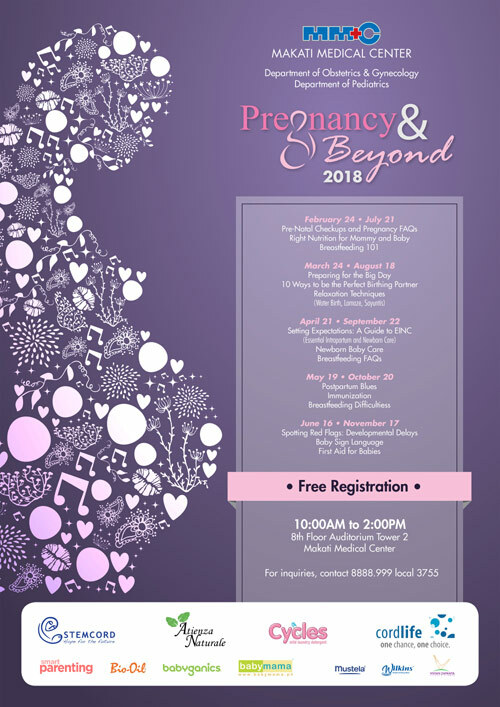 Makati Medical Center is holding a class for expectant mothers this Saturday, February 24, from 10 a.m. to 2 p.m. at the Makati Medical Center (8F Auditorium, Tower 2). Topics to be tackled include pre-natal checkups, pregnancy FAQs, nutrition for mom and baby, and breastfeeding. It's a free class, so take advantage! To find more details and to register, click here. For inquiries, call 888-89-99 loc. 3755. Calling all families! 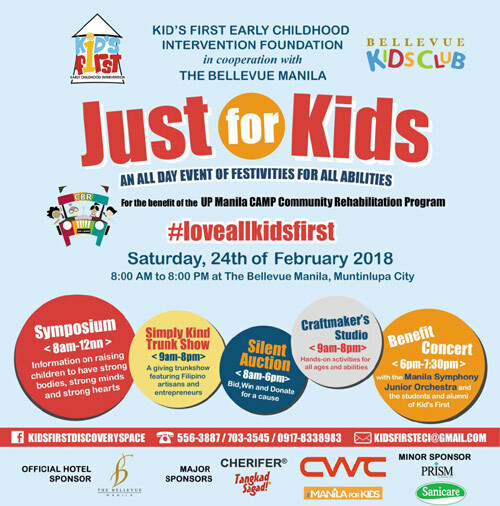 Just for Kids: Symposium and Benefit Concert is happening this Saturday, February 24, at The Bellevue Manila, Muntinlupa City. It's going to be a day dedicated to bringing families of all abilities together to have a safe space where children can play and parents can mingle and learn from experts. Activities for all ages and abilities include a craft booth, gym play, silent disco, science experiments, and more. 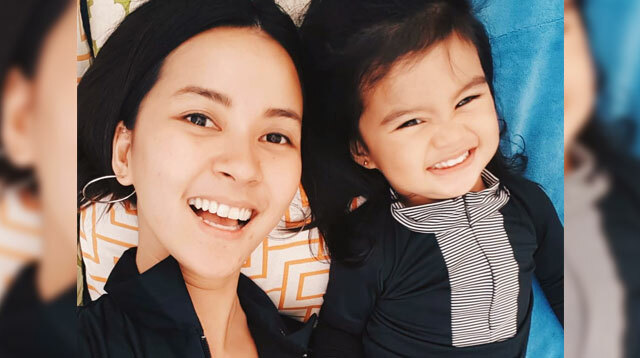 For parents, expect expert talks on raising children with special needs, consultation booths with speech and occupational therapists, a silent auction, and more. Tickets for half day entrance are at P1,000 and a whole day pass is P1,600. If you're game to head out of town this weekend, register the kids for the Spartan Race! 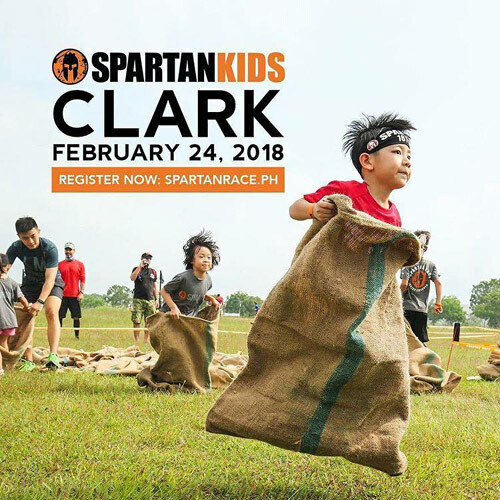 Happening this Saturday, February 24, at Alviera, Pampanga, the Spartan Kid Races, which are open to kids of all abilities ages 4 to 13, will have your kiddo running, climbing and crawling across an obstacle course especially designed for a lot of fun and mess. 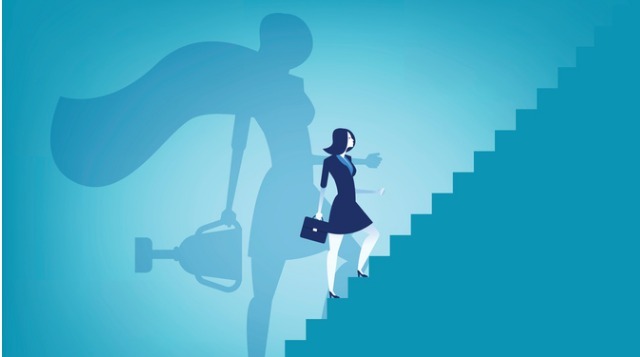 Nobody gets left behind and everybody finishes so expect there to be teamwork too. Participation fee is P950. 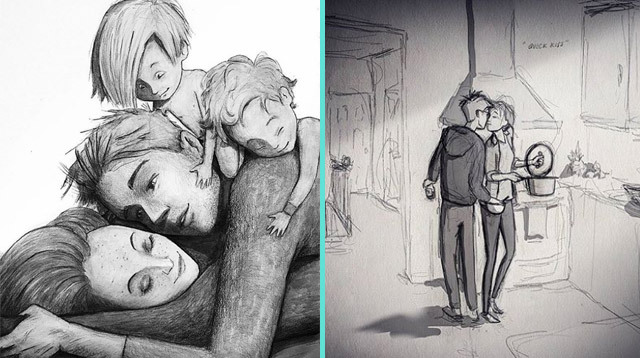 Children with special needs can be accompanied by their parents. See full event details here. 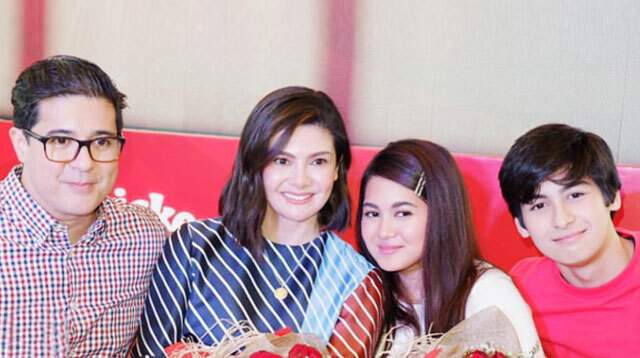 The Great British Festival is launching this Friday, February 23, at Glorietta 2, Makati City and the whole family is invited. 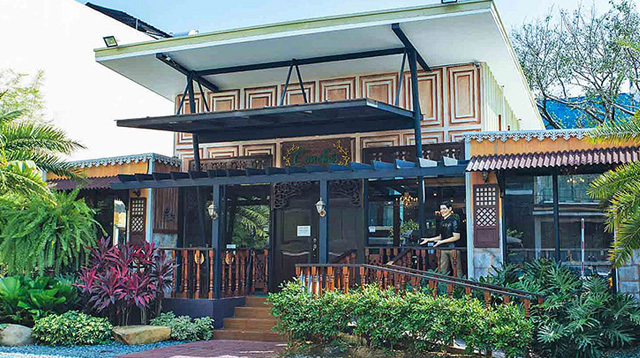 There will be interactive exhibits, a great trivia challenge, British film screenings, book reading for children, a whisky pavilion, a Rockaoke Contest, and prizes to be won. Admission is free so come if you can! Raising or expecting twins? 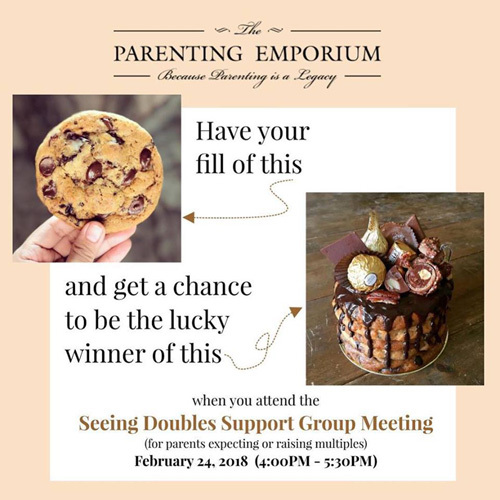 The Parenting Emporium is hosting a Seeing Doubles Support Group Meet-up this Saturday, February 24, from 4 to 5:30 p.m. at The Parenting Emporium, Quezon City. Everyone is welcome and participation is free. There will be treats too! To register, call 0917-811-0821. If your little one is starting soldis soon, be prepared and head to Mothercare's Nutrition and Baby-led Weaning workshop. 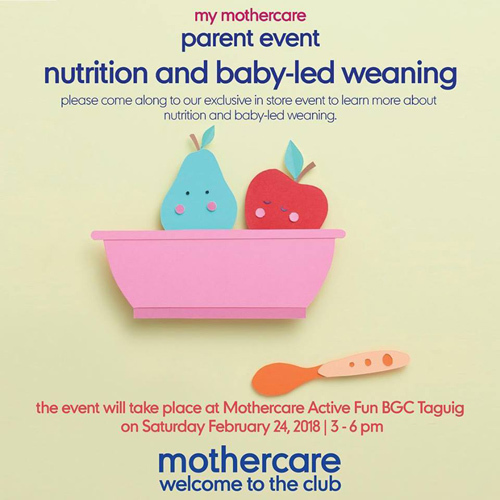 It's happening this Saturday, February 24, from 3 to 6 p.m. at Mothercare Active Fun, Taguig City. Participation is free. To register and reserve a slot, call 478-04-73. 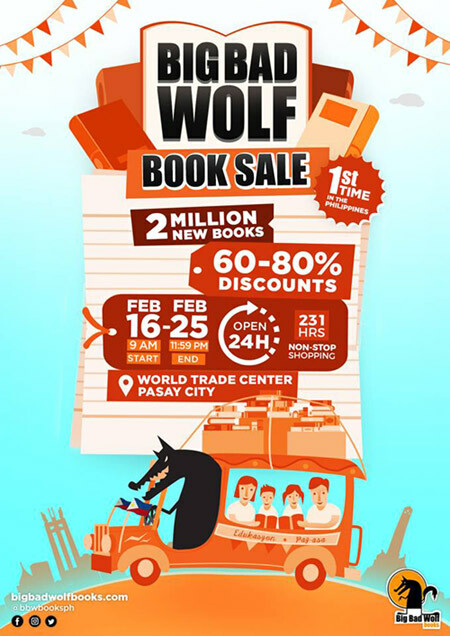 It's the last weekend to catch the Big Bad Wolf Book Sale! What claims to be the biggest book fair in the world is happening now until February 25 (this Sunday) at the World Trade Center in Pasay City. It's open for 24 hours and has over 2 million brand new books at 60 to 80% off. Admission is free! Check out our guide on the books you'll be able to find at the fair and a few reminders you need to know when you go here. 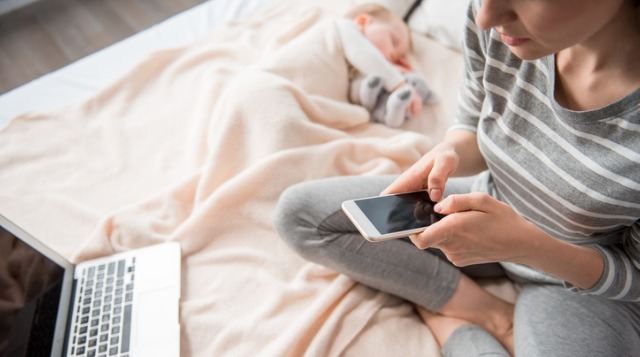 Hey mom, don't forget that you need your me-time too to recharge. 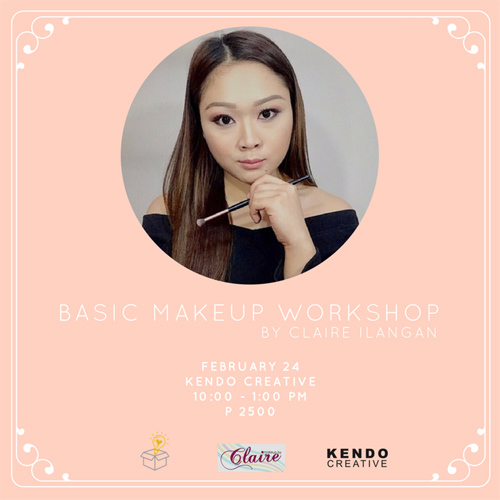 Do something just for you and join the Manila Workshops' Basic Makeup Workshop by Claire Ilangan. It's happening this Saturday, February 24, from 10 a.m. to 1 p.m., at the Kendo Creative, Cubao Expo, Quezon City. 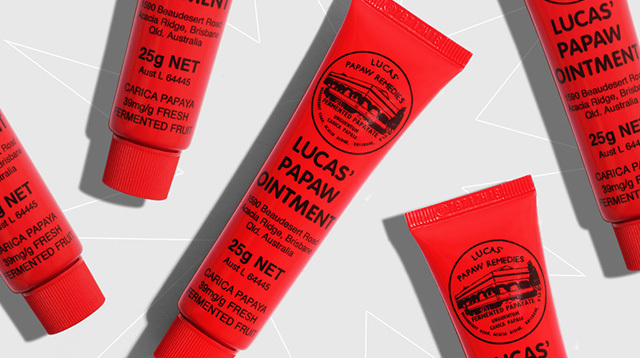 Newbies welcome! 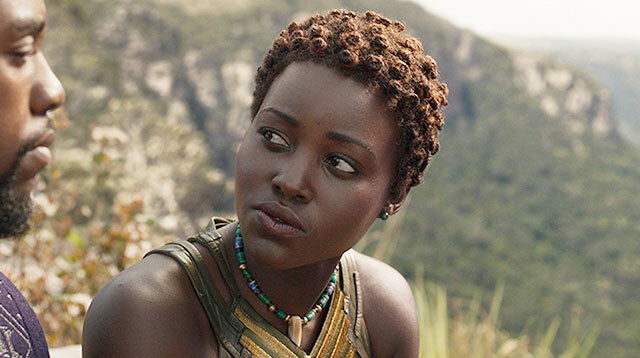 Topics include the basics of skincare, a rundown of different makeup products and their uses, applying makeup, and different looks including minimal, day and evening. Participation fee is P2,500. Register here.